What an amazing time of the year this is! Autumn landscapes and harvest festivals, Halloween, Thanksgiving… so many things to celebrate. Here in Sweden, All Saints’ Day (Alla helgons dag) is traditionally a quiet day of sombre reflection… dignified (in a typically Scandinavian fashion). Lighting candles at family grave sites is a widely practised custom. I have never had the pleasure/privilege/opportunity to witness a traditional Mexican Day of the Dead celebration, but have always been captivated by the bold and colourful imagery associated with it (a stark contrast with Swedish tradition). My son has requested that his sugar skull treat box contain a box of raisins! As for Baby Cupcake, at 8 months of age she’s not at the raisin-eating stage just yet, so I’ll be popping a necklace in hers that she can wear and enjoy at a later date. I really enjoyed making these and I hope you like them too! Below you’ll find images and an easy-to-follow infographic and design template in case you’re feeling crafty this weekend. For a pdf version of the template, click here or on the image above. Not just for candy! They make lovely gift and jewelry boxes too. This entry was posted in Activity, Arts and crafts, Autumn, Decorating, Design, DIY, Event, Fall, Freebies, Halloween, Homemade gifts, How to, Inspiration and ideas, Kids, Lifestyle, Paper craft, So simple, Step by step, Thrifty, Tutorial, Vector and tagged Adobe Illustrator, All Hallows' Eve, All Saints' Day, All Souls' Day, Alla helgons dag, candy box, cardboard, craft project, Day of the Dead, Día de Muertos, Dia de los Muertos, downloadable, easter eg, eps, free, free download, free printable, free template, freebies, gifts, Halloween, Halloween decorations, Halloween ideas, illustration, infographic, Mexican, Mexican-inspired, paper mache, papier mache, printables, skull design, sugar skull, template, treat box, trick or treat, vector. Bookmark the permalink. So awesome!! I love it!! Fantastic!!! Beautiful and scary at the same time!!! They are perfect for the season and lovely that you can fill them with candy, or not, as suits each individual. I think the beads for your little Cupcake will be lovely. These are beautiful. Mostly people do tacky Halloween stuff here so I avoid it, but if they had things like this I’d be more tempted to join in. Thank you so much 🙂 That’s a lovely compliment! Wow, they look absolutely amazing, well done! What a clever idea. They show off your artistic skills really well. Brilliant. Thank you very much, Julie 🙂 Really sweet of you! Wow! Beautiful and intricate designing skills! Nice! Thank you so much, Stefano! 😀 Very kind! These little boxes are so cute!! What a terrific idea. I love the way you decorated them too…so pretty. This is awesome! You have a GREAT blog here! Love it!!!! Oh wow, these are just incredible! The tutorial is brilliant, but I could never make such works of art. It takes real skill to paint those flawless designs, and I am in awe! What a brilliant idea! These look fab. Thanks so much, Laura :D! this is very cool. i love day of the dead designs too. nice post! Cool craft! 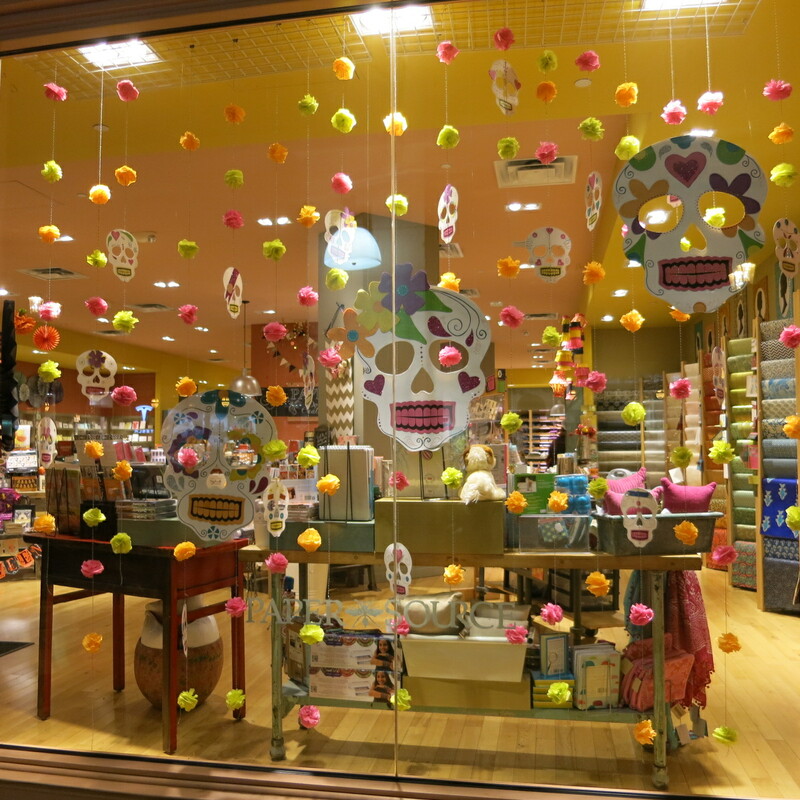 The kids had a school project where they made sugar Day of the Dead skulls which where then displayed in our local Mexican food restaurant. So fun!